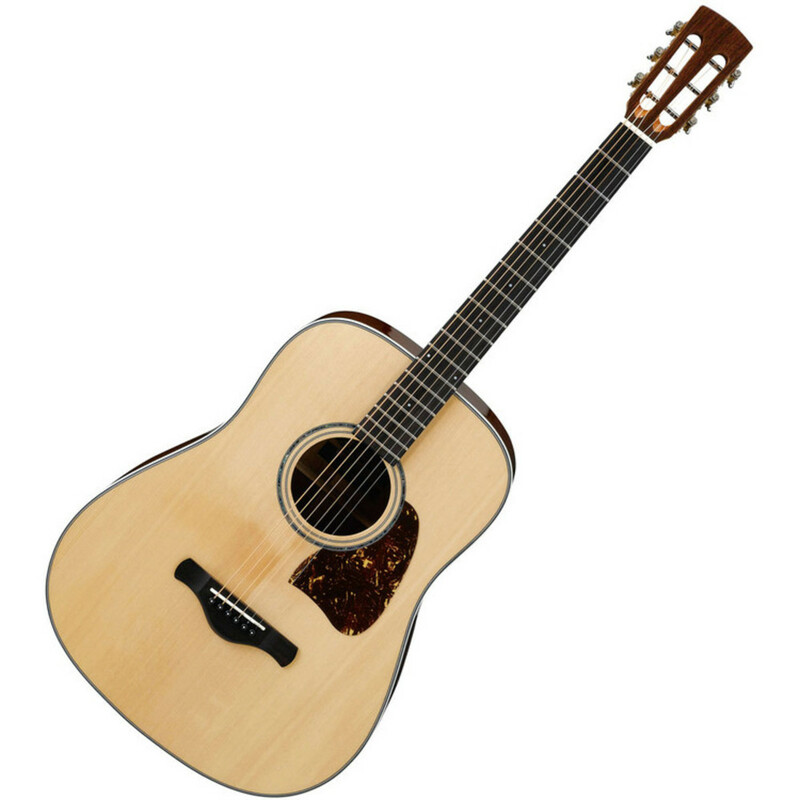 The Ibanez AVD1-NT Acoustic Guitar is a classic design 12th fret-join slot headstock acoustic guitar with a natural finish, for a traditional look and feel. The Ibanez AVD1-NT has a rich tone due to it's mahogany/spruce construction. The mahogany offers deep low end while spruce gives a distinct mid range. This guitar is the perfect choice for any guitarist seeking a refined instrument.